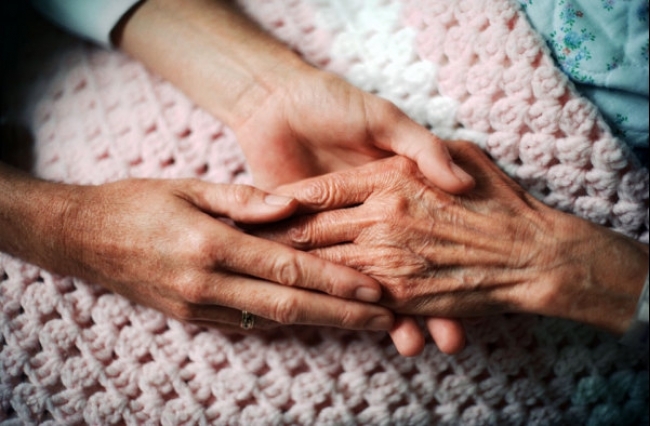 National Palliative Care Week: It’s Time to Talk About Dying. As National Palliative Care Week comes to a close, we feel it is important to reflect on one of the initiative’s most important messages; the need to talk about death. For most, death is not a preferred topic of conversation. In fact, it makes many people uncomfortable, and these feelings are only multiplied when the conversation in question is about a loved one. However, Australia’s governing body for palliative care, Palliative Care Australia (PCA), believes talking about dying is absolutely vital for those living with chronic illness. These conversations are especially critical for those living with complex, chronic diseases. These kinds of diseases cover the five leading causes of death according to the Australian Institute of Health and Welfare. But according to a recent survey conduced by Palliative Care Australia, the majority of sufferers of these serious conditions do not have adequate plans in place to ensure their doctors and loved ones understand what they want at the end of their life. Only 28% of respondents had spoken to their loved ones about how they want to be cared for at the end of their life. Despite common beliefs, Palliative care is much more than care during the last days or weeks of a person’s life and is not a service of “last resort”. Even when a cure to a serious illness is not possible, active treatment and appropriate support may continue to manage the symptoms and course of the disease. This process may involve many important choices that will impact the last stages of someone’s life, and their ability to have realistic and conscience input is made more likely by having having these conversations. Motor Neurone Disease Australia National Executive Director Carol Birks says “Writing your wishes down or talking about them can help give you a sense of control over your future. This can be particularly important for people living with motor neurone disease, who often experience a spiralling series of losses”. They are also extremely important for loves ones throughout this difficult time. Being aware of what their loved one wants at the end of their life can reassure them if and when they are forced to make difficult decisions. Respondents from the above survey were asked to nominate three issues they would consider most important if they were dying, and the results can provide some great starting points if you are stuck on how to initiate this conversation. The top three were being free from pain and physical distress, being free from psychological distress and being in the place of their choice (home, hospital, hospice or aged care). At Prestige, we offer a comprehensive palliative care service, from planning the process right through to carrying it out with our specifically trained carers and nurses. For more information on our palliative care services, call us on 1300 10 30 10 or click here. You can also visit www.palliativecare.org.au for many useful resources on the palliative care process.